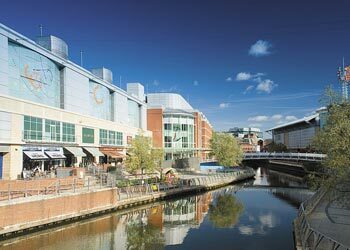 Set on the beautiful Thames Valley, the historic town of Reading is a vibrant and exciting place to live. 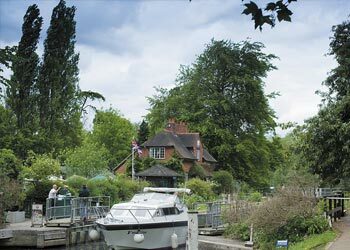 Superbly situated at the confluence of the River Thames and River Kennet, and on both the Great Western Main Line Railway and the M4 Motorway, its transport links is one of the best in the country. Reading’s entertainment hub offers a wealth of opportunities for students with The Oracle Shopping Centre , which hosts over 80 shops, bars and restaurants as well as a 10-screen cinema. The lively waterside setting is ideal for chilling out and is within walking distance to the ICMA Centre and the university. The sporting scene in Reading is also excellent with Madejski Stadium being the home ground for Reading Football Club and London Irish Rugby Club, and was voted the ‘best environment in which to watch rugby’ by Rugby World Magazine . The Madejski Stadium is also the finishing point for the annual half-marathon as well as holding many England under-21 football matches and charity events. It has also been transferred into a music venue recently, most notably Elton John and Red Hot Chili Peppers performing memorable sets there. That is not the limit to Reading’s music scene either. The town hosts one of the UK’s biggest music festivals, Reading Festival, annually and attracts world-famous bands like Muse, Radiohead, Green Day and Foo Fighters every August Bank Holiday weekend. Reading still enjoys a vibrant music scene all year round with many venues offering live music throughout the week. Reading has its sights firmly set on the international business world, attracting several major computing companies, including Microsoft, Compaq, and The Oracle Corporation. The town contains many business parks with Thames Valley Business Park ,Green Park Business Park , Reading International Business Park as well as Winnersh Triangle Business Park, which is home to big technology companies, all residing in close proximity of the M4. Reading is also the national headquarters for a range of financial and commercial organisations, such as Prudential, Honda, Thames Water and British Gas. It also comprises offices for the big four accounting firms Deloitte, KPMG, Ernst and Young and PricewaterhouseCoopers. The town’s history is well preserved, as Reading was an important national centre in the medieval period, as a site of a significant monastery with strong royal connections and with Catherine, Duchess of Cambridge originating from the town, it keeps Reading royal links active to this present day.